Disclosure: This post is sponsored by Pretty in my Pocket (PRIMP) in collaboration with Paula's Choice skincare. All opinions stated are my own. Have you heard of Paula's Choice before? I've known about the brand for awhile, and I even know people who SWEAR by their stuff. My skin is pretty sensitive and reacts to new things quickly and easily, so I'm always hesitant to try something new. But after reading so many glowing reviews of the Paula's Choice products, when I had a chance to try the brand out, I jumped at the chance! 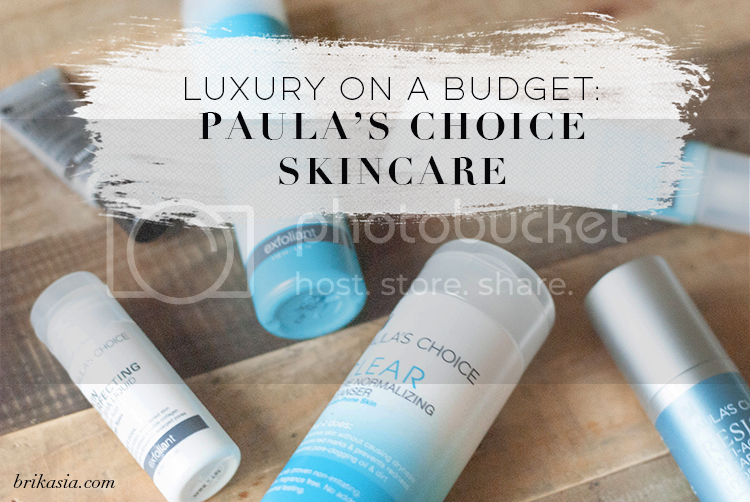 Paula's Choice is luxury skin care on a budget, and I am so glad that I am a Power Primper for Pretty in my Pocket so I could test their goodies out. 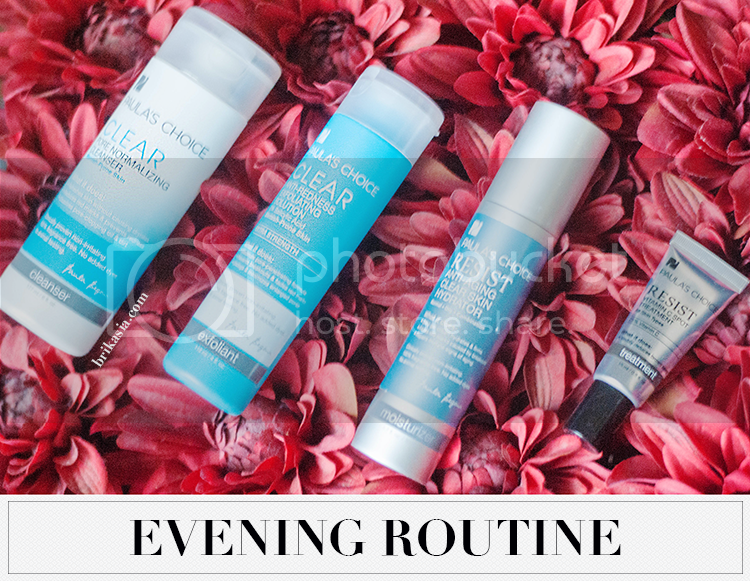 Their product line includes something for everyone and every skin care need: acne, rosacea, anti-aging, pore stuff, etc. Their website is set up nicely so you can browse a menu of skin care concerns that you'd like to treat easily. Their website also has a TON of advice. 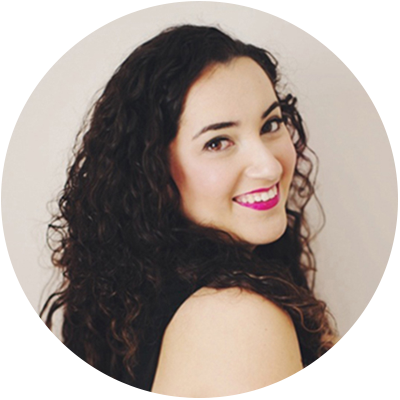 The founder of Paula's Choice, Paula Begoun, is all about truth in beauty, so you can bet your booty that there are hella articles on just about every skincare concern on their website. Another awesome perk about Paula's Choice skincare? They offer a 100% money back guarantee within 60 days. Also, they do NOT test on animals and there are no irritating dyes or fragrances in their products. Hurray! Before I even had a chance to go HAM on the Paula’s Choice website and buy more things than I could ever possibly need (did I mention their prices are THAT good? ), PRIMP hooked a girl up with a personal skincare consultation with a Paula’s Choice rep. And here’s a fun fact: everyone can get a FREE personal skincare consultation with a Paula’s Choice rep! Great skincare for EVERYBODY! Paula’s Choice is committed to customer advocacy, education, and helping people find the best products for their skin. Just call 1-800-831-4088 and your rep will hook you up with the perfect skincare regimen for your skin. My skin is combination and is pretty sensitive to new products. I have terrible acne (thanks a lot, hormones), but I have to be incredibly gentle with how I attack my acne or else I break out even worse (no benzoyl peroxide for me!). I discussed my skin concerns with the Paula’s Choice rep, and she explained to me the products she was going to send me and how they would benefit my skin. I was given the following products: CLEAR Pore Normalizing Cleanser, CLEAR Ultra-Light Daily Mattifying Fluid with Broad Spectrum SPF 30+, CLEAR Anti-Redness Exfoliating Solution with 2% Salicylic Acid, RESIST Anti-Aging Clear Skin Hydrator, RESIST Weekly Retexturizing Foaming Treatment, RESIST Vitamin C Spot Treatment, and a trial size of the Skin Perfecting 2% BHA Liquid (more on that in a bit!). All of this can be bought for $180. That is it. Isn't that insane? You're getting so much for so little, it's truly dumbfounding. Now that you know what I got, I'll go into some detail about how I used everything. 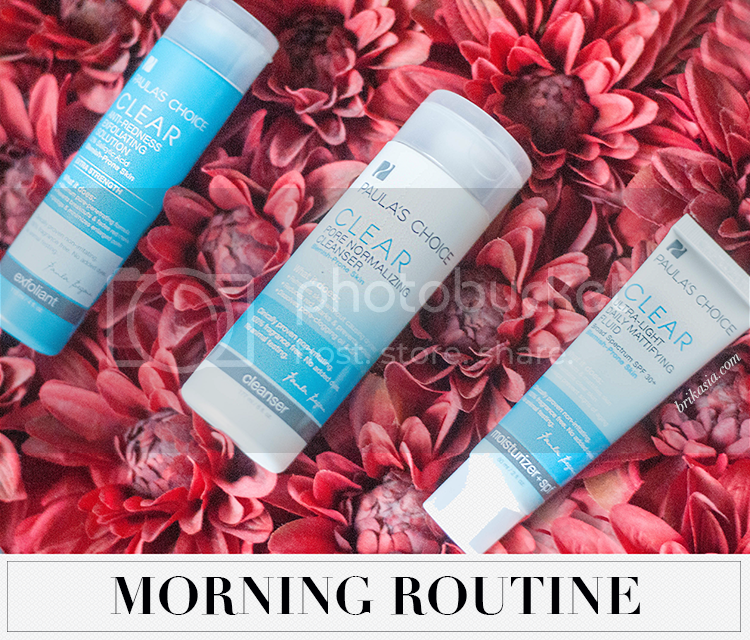 In the morning, I keep things pretty simple and just use my CLEAR Cleanser, followed by my CLEAR Exfoliating Solution, and topped off with the CLEAR Daily Mattifying Moisturize with SPF. I’ve actually been using the cleanser twice a day, as it is super gentle and helps keep the redness away. If I’m not using any other exfoliators, then I use the CLEAR Exfoliating Solution twice a day. I really like this exfoliator (which is a leave on, don’t wash it off!) because of the salicylic acid it has. And I have definitely noticed that I’m not breaking out as much, hooray!! And by now I’m sure we’re all aware of how important SPF is, so I really like how the CLEAR Moisturizer not only has SPF in it, but is also mattifying and keeps me grease-free all day long. Before I go to bed, my skincare routine gets a bit more dramatic. I start off with the CLEAR Cleanser, and depending on the day, I'll use the CLEAR Exfoliating Solution again. I also use two other exfoliators throughout the week, but I'll talk about that a bit more in just a bit. After I am done with the exfoliant, I apply my moisturizer, the RESIST Anti-Aging Hydrator. This silky, gel-like formula makes my skin feel baby soft, and hydrates just enough without causing any breakouts. After applying it all over my face and my neck, I use the RESIST Vitamin C Treatment on top of any red spots or fine lines that I spot. Like I mentioned before, depending on the day of week, I will use a different exfoliant. 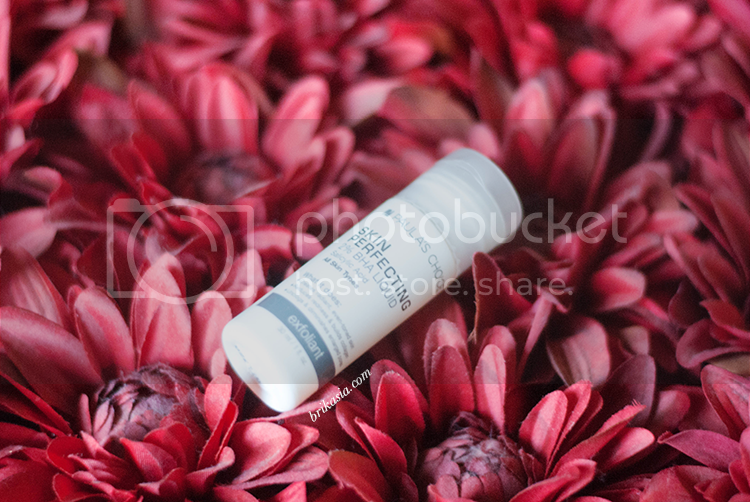 Paula's Choice also gave me the RESIST Weekly Retexturizing Foaming Treatment with 4% BHA. I use this once a week, and because this exfoliant is so strong, I won't use another exfoliant that day. This product helps fade red marks from acne, helps even out skin tone, and thanks to the salicylic acid in it, also helps stimulate collagen in the skin for smoother, more radiant skin. Similar to the retexturizing foam, I only use this Skin Perfecting 2% BHA Liquid on my skin once a week. 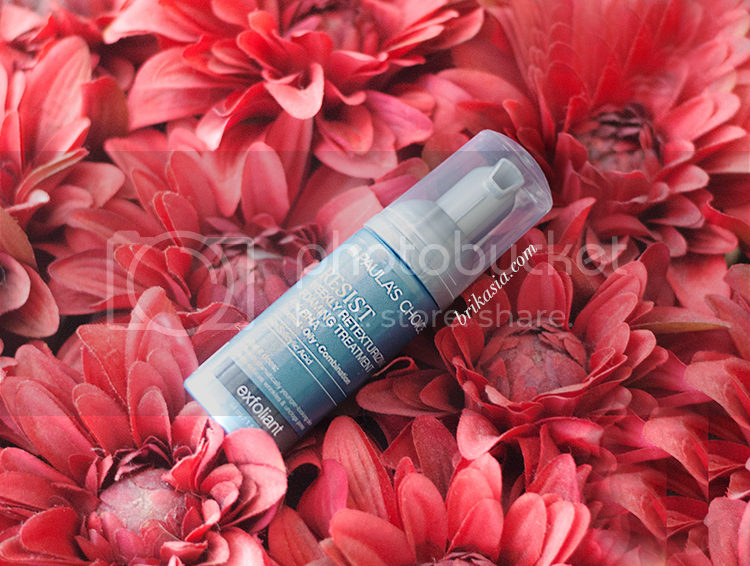 This product helps minimize pores, and the BHA increases collagen production while also fighting acne-causing bacteria. Sign me up! Did you know that this product is a Paula's Choice best seller? The trial size version of this product (which is the size I have) is available for only $9 on their website. And guys, this will last you a bit of time, especially if you're only using it once a week! It's the perfect size to give it a try and see if you want to purchase the full size bottle. You can get more information on it HERE! 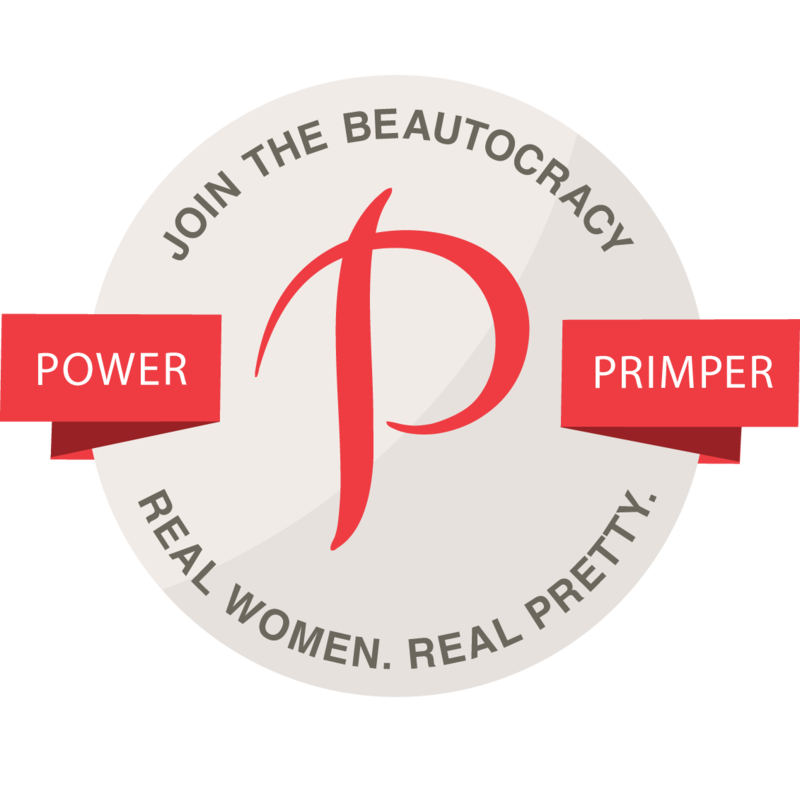 Now onto the perks: As a Power Primper, I am offering 20% off + free shipping with promo code: PRIMP20 to you, my lovely readers. This code expires TONIGHT, July 31st, at midnight EST. I know, I know, it ends so quickly! So move quickly so you can get this awesome deal! Click HERE to get this deal. And also make sure you download the PRIMP app so you can get more awesome perks like this one! Download riiiight HERE. Have you ever tried anything from Paula's Choice? Also, are you on the PRIMP app? I'm LOVING this brand! I'm using the Skin Balancing line right now. It's so gentle on my skin and feels amazing! Me, too! Love Paula's Choice. I'm using the hydrating line and it's fabulous. I've heard so much about Paula's Choice - and they have great prices as well. Thanks for the coupon code! I still haven't tried anything from Paula's Choice, but I have heard so many amazing things about the line! thank you for the very informative review! Wow... this looks great! 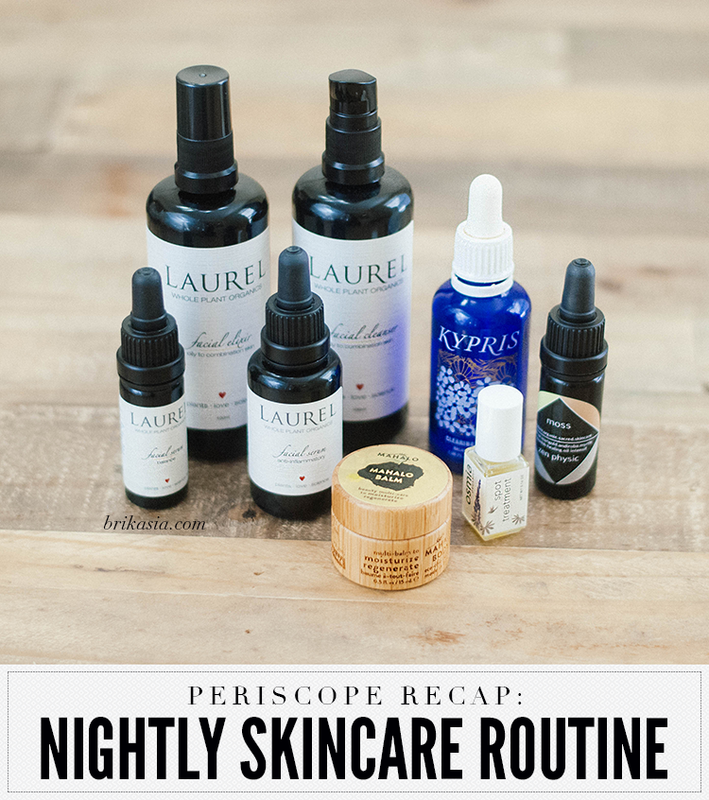 Thanks for detailing your routine! I received some of their items a few months ago and have been loving them! my favorite is their hydrating cleanser! It's so creamy and gentle! I agree with you 100% Paula's Choice is my go-to skincare brand. If I'm not testing new products, it's what I use and repurchase over and over. I just bought a bunch of staples today! I love that Paula's Choice has products for every skintype and they are so willing to help you find what's right. I need to give this line a try, some time. I've read a lot of great reviews, but haven't tried the brand yet. The exfoliating solution sounds particularly interesting. I LOVE that 2% BHA liquid! I went a little crazy on the Paula's Choice UK website last month lol. Anything to get rid of acne. oh yeah I love Paula's Choice, quite affordable for the quality! Paula's Choice is now my go to!